Inner West Mayor Darcy Byrne will officially open Sydney’s newest brewery, Sauce, on October 14. Sauce Brewing was founded by Mike Clarke, a home brewer and craft beer enthusiast with a background in IT and telecommunications. He appointed Brodie French, formerly of Brewpack and Icon, as head brewer in June. 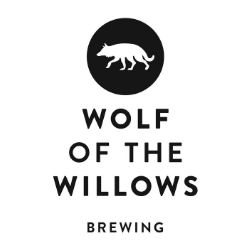 The company launched as a gypsy brewer in 2016 while in the process of setting up its own brewery and taproom, which opened to the public last week. 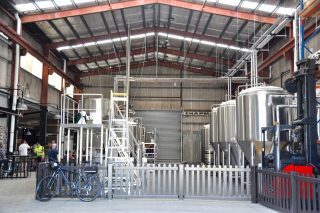 Sauce has installed a 20hL four vessel steam-fired brewhouse and fermentation capacity supplied by Spark. 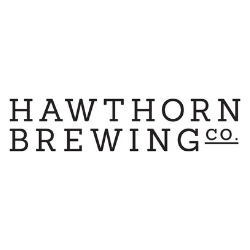 The company has launched with a line-up of beers that is largely hop driven, but also currently includes a hoppy hefeweizen and two versions of an American porter. Clarke told Brews News the company will soon commission its own canning line, which is already in place at the brewery. He said Sauce will be largely focused on wholesaling its beers, with plans for national expansion. Sauce is the latest brewery to open in Marrickville, a suburb that likely has Australia’s highest concentration of breweries, with Batch, Wildflower, Grifter and Black Font all in the immediate vicinity. “It’s actually bringing people into the area. The more breweries that are here the more people come in to do the brewery crawls,” said Clarke. Sauce is open from Thursday to Sunday at 1a Mitchell St, Marrickville. Inner West Mayor Darcy Byrne will cut the ribbon at a launch event on October 14.